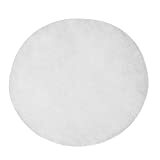 ?Premium Ceramic conical burr made from industrial ceramic with temperature stability,high wear & corrosion resistance for precise,uniform coffee grinds also great for grinding grain. ?Adjustable grind gives you precise control over the coarseness of your grind. 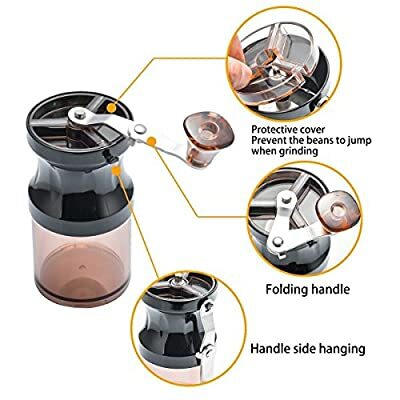 ?Stainless steel removable folding handle saves your effort when grinding beans, it is more enjoyable for the fun of grinding coffee beans. 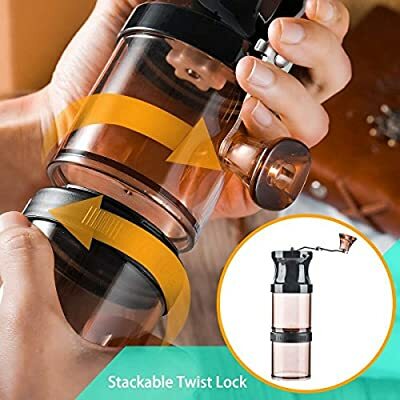 ?Don't worry about storage, There are two clear jars are provide,you could store remaining coffee bean in jars with lid and simple twist installation. ?The protective lid prevent the beans to jump while grinding. ?This coffee mill is easy to control and handle and also a good gift for friends. If you don't like our manual coffee bean grinder at any time for any reason, contact us for a 100% free REPLACEMENT or REFUND!! You take NO RISK by ordering today! Portable Manual Coffee Grinder: No batteries or electricity are required allowing you to enjoy fresh coffee anywhere. 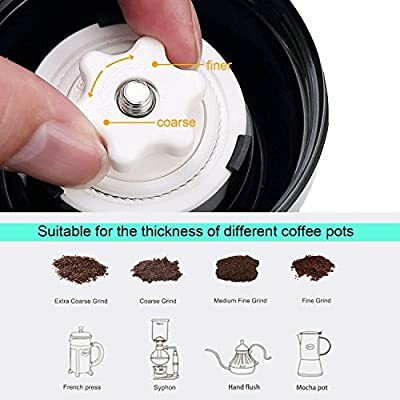 Each sealed container can store 6 cups of coffee powder.The containers are simple twist installation that will not let the coffee powder spill out. Perfect for camping, hiking, outdoor travel and office coffee lovers. Convenient Adjustment: Featuring adjustable ceramic conical burr for precision uniform grinding without producing the heat, adjusted by turning the grind adjustment nut to your desired coffee grind, the perfect grinder for french press,turkish,espresso,spices,cold brew and pour over. 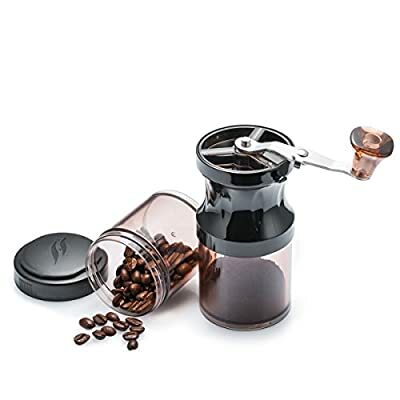 Save and Durable: This manual coffee grinder is made of removeable components, and easy to disassemble for cleaning. 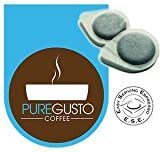 Consists of medical grade materials meet FDA standard, BPA FREE, that is more durable and less fragile and ensure the coffee being made does not get contaminated with the smell of metal. Easy to Clean: The manual coffee grinder can be easily split into small parts. 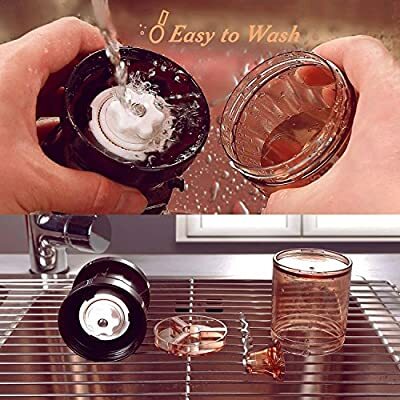 It only needs to be washed separately under running water. The included cleaning brush makes cleaning easier. Convenient and clean. 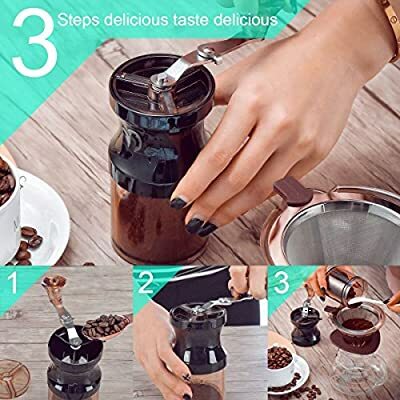 GUARANTEE: If you are not satisfied with our Manual Coffee Grinder, you can return the Coffee Grinder and we will REFUND your money with NO QUESTIONS ASKED! You take NO RISK by ordering today!